No that I need an excuse to go fishing, but the temps are supposed to drop down to 27°F tonight so I got out for a bit. It was beautiful on the river as the sun was getting low. Its just about my favorite time on the water and can be either real easy on the eyes or hard as heck to see depending on things. The ticket for this rainbow was a #12 orange stimulator and he took it on a downstream cast from a kneeling position just as I pulled it under or maybe slightly before. This little bugger had some fight in him and rather than jump at all, he went for faster moving water instead. 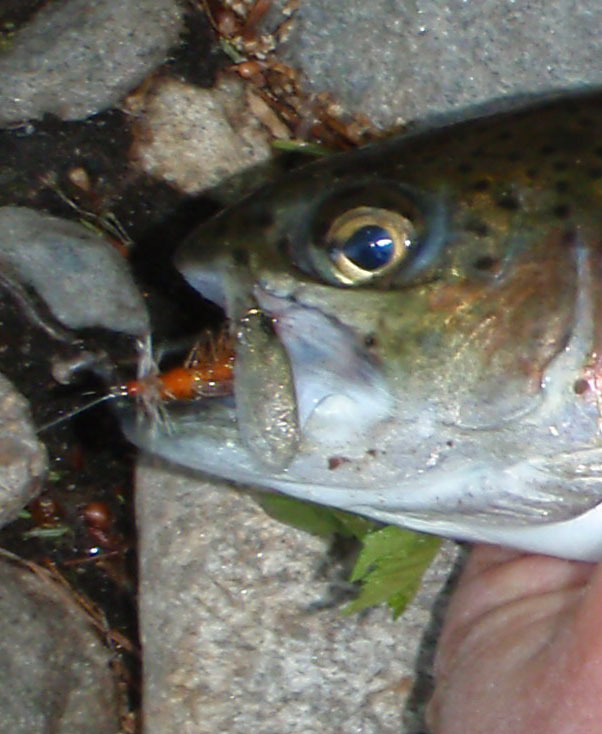 I was as gentle as I could be but he dislodged that piece of flesh between the gill and mouth. He revived in fine fashion and took off with a strong swat of his tail. I love to fish a stimulator. They will catch fish as a dry, skittering along the surface or stripped underneath. Lots of opportunities with this fly on a cast. ~ by John McGranaghan on May 10, 2010. The stream in those two pics is the Souhegan River in NH. 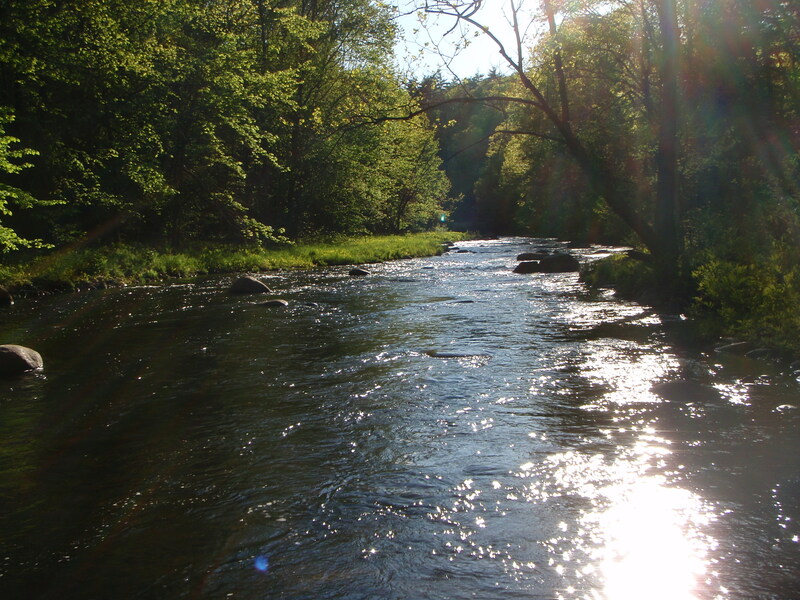 It is a put and take river stocked by the F&G and has a nice fly fishing only section. Whew! I was thinking maybe I had the blog set up wrong and was preventing postings. Thanks Rodger.